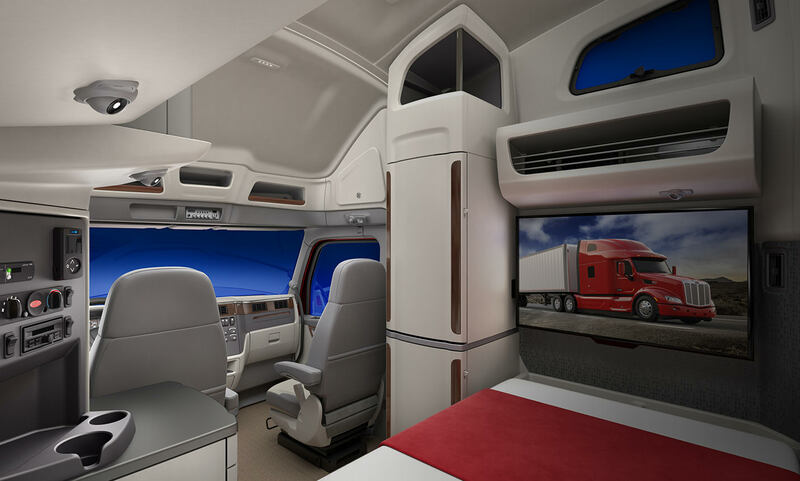 The new Peterbilt 579 UltraLoft gives drivers the largest upper and lower bunk mattresses, best-in-class headroom in both bunks and class-leading creature comforts with space to accommodate the industry’s largest microwave and enough room to fit a 32 inch flat screen TV. The Peterbilt Model 579 UltraLoft boasts an expansive interior with the largest upper and lower bunk mattresses and most storage space in the industry. The Peterbilt Model 579 UltraLoft brings all the luxuries of home to the road. 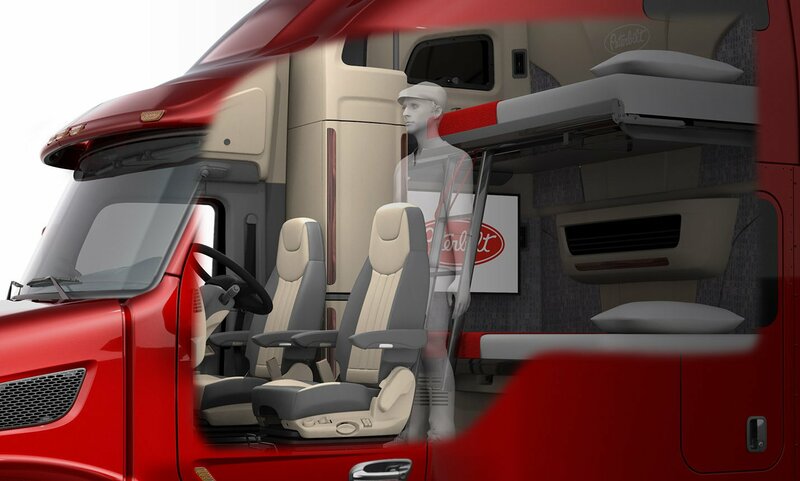 The new design and added technology features provide the ultimate level of driver comfort and the distinctive style and quality Peterbilt is known for. The Peterbilt Model 579 UltraLoft configuration delivers a 2% aerodynamic improvement to push the limits of efficiency. Drivers also gain a 1% increase in fuel economy for decreased fuel costs and the lowest cost of ownership. The 579 Ultraloft is now available. Order your home away from home today. 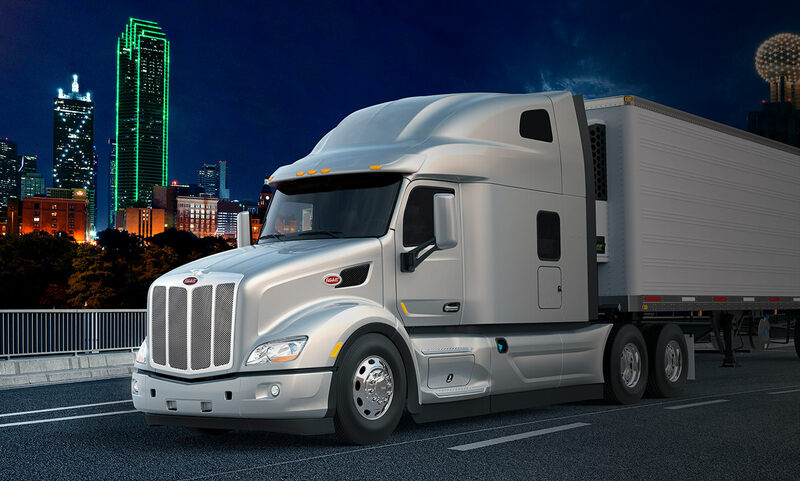 Peterbilt’s newest model has been designed and tested in close collaboration with customers and drivers, maximizing aerodynamic performance and driver comfort.